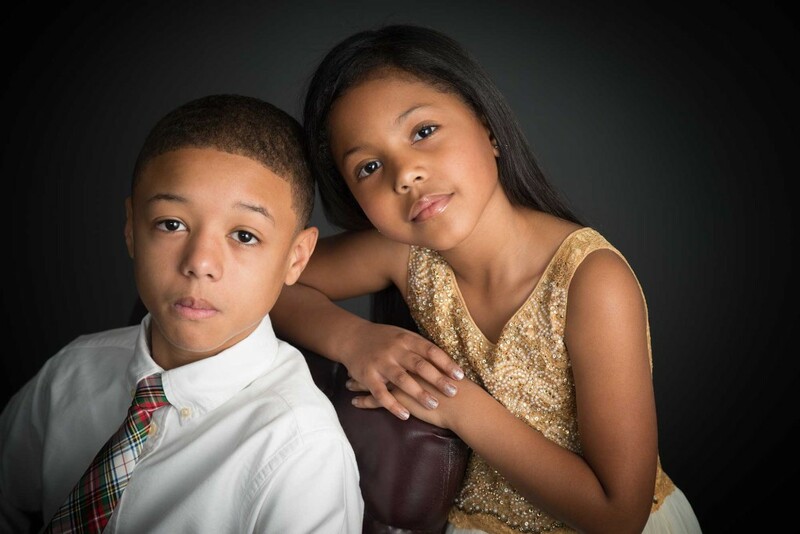 The Best Portrait Photography for Children and Siblings in Houston! We love the opportunity to create beautiful Children Photography portraits in our Houston studio. Even though kids won’t admit that they even like each other, there’s a special bond that comes through during our portrait sessions. Because these two had such great personalities, and clearly looked great in the camera, we were able to spend more time fine tuning each pose to give mom and dad something they can enjoy for a long time. The difference with Four Cameras Photography is that our photographers have years and years of experience in making clients look better than they’ve ever looked before. The right clothes, the right location, lighting, poses and composition. When it’s picture time people want to look amazing, and that’s why they choose Four Cameras. We have all of the right lighting and posing tools needed, along with over 20 years of making award winning photos. Our studio over 20 different backgrounds to choose from, lots of fun props, and a huge studio with lots of room to move around. And in addition to our studio, we also create amazing images at location all around the Houston area. But not only that, we have award winning photographers that work hard every session to create artistic and unique photos for each clients. So whether you need family, maternity, graduation, newborn, children, wedding, bridal or commercial photography, Four Cameras will make you smile. Visit our studio in person or online and see what we can create for you! 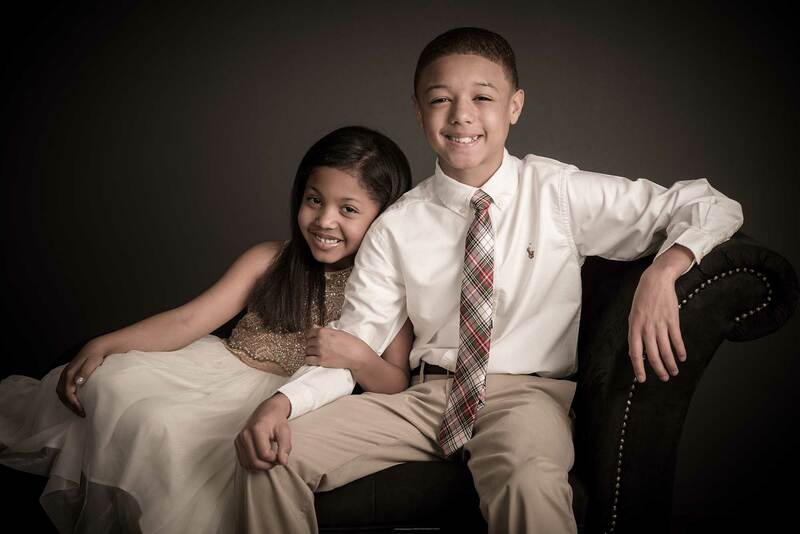 Be sure to Like our Facebook page for daily and weekly Houston Family and Children Photography specials! Taking unique senior photos doesn’t start when the subject arrives. In fact, it starts much earlier. The photographers at Four Cameras Photography thrive on bringing our artistic visions to life through our photos. That’s true whether we are shooting newborns, families, dancers or seniors. To do this, we make sure to have at least one phone consultation with our subjects before the day of the actual shoot. It is during this conversation that the photographer begins to get a sense of the subject’s personality, interests and personal style. For the photo above, I spoke with Brice and found out that he was a guitar player in a band and that he worked at a local music store. 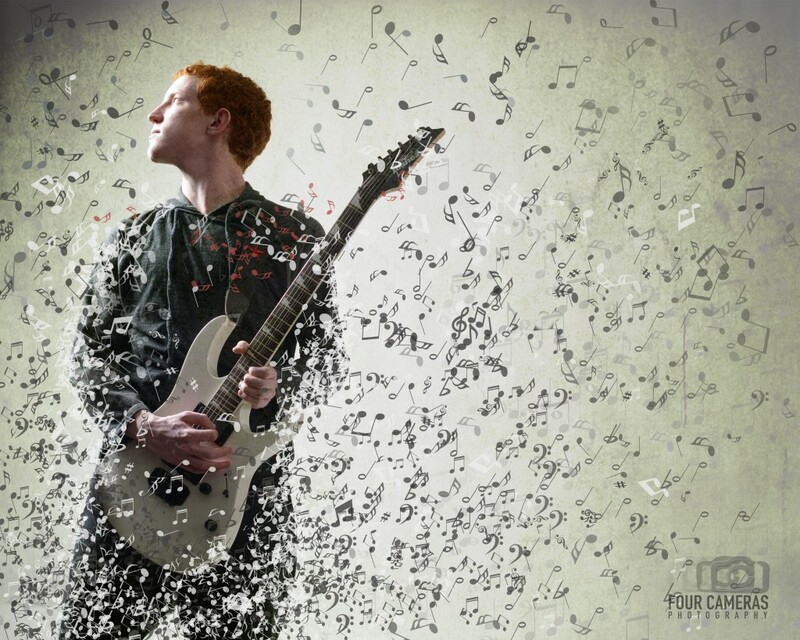 I asked him to bring his guitar to the session and I knew I wanted to do something special focusing on his love of music. From there, I began to look at photography sites on the internet and in magazines and started forming a visualization of what I wanted this photo to look like. When Brice arrived for his photo session, I had already printed out a “comp” and drawn a lighting diagram to help me get the look I was going for. This is something we strive to do for each and every client that comes through the door. We want to take unique senior photos, but we also want highly unique and personalized photos of all of our clients. We have over 20 different backgrounds to choose from, lots of fun props, and a huge studio with lots of room to move around. But not only that, we have award winning photographers that work hard every session to create artistic and unique photos for each clients. So whether you need family, maternity, graduation, newborn, children, bridal or commercial photography, Four Cameras will make you smile. Visit our studio in person or online and see what we can create for you! Be sure to Like our Facebook page for daily and weekly specials! There are so many ways to take pictures these days. Lots of different cameras, locations, props, etc. 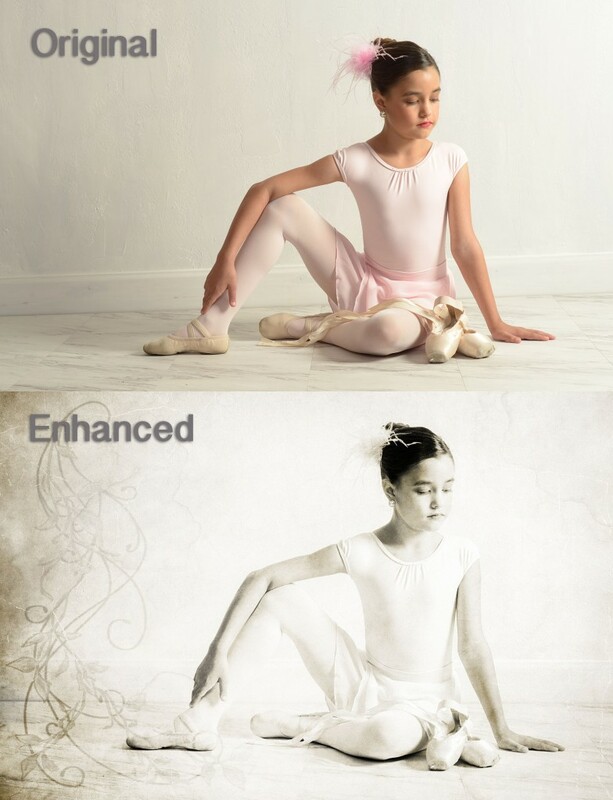 But putting all of these elements together is what sets a great photographer apart from just a mediocre one. At Four Cameras Photography, our photographers have years of experience and take artistic photography to a whole new level. Every client we work with is different, and so every image we create for them should be a reflection on their personality, style and taste. Getting to know our clients is a big part of what makes our images so successful. We always insist on having a creative design session either over the phone or in person. This allows us to fully understand our clients expectations, and combine their ideas with ours. 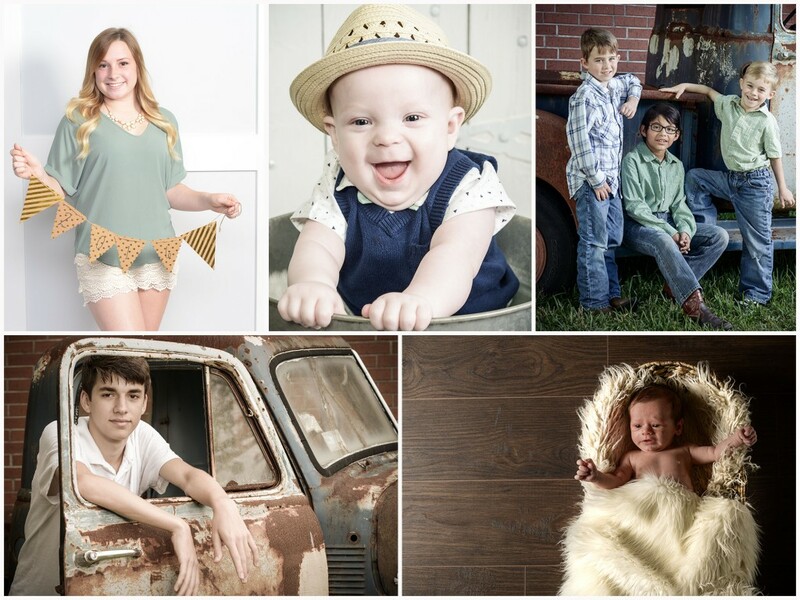 $1 Portrait Photography Sessions – Hurry Ends Soon! • 8×10 Print Sheets Only $9.99! • Luster, Glossy, & Metallic Prints Available! • Over 30 Backgrounds to Choose From! Now is the perfect time to get a Photo Session from Four Cameras Photography in Webster! We are offering our signature 1 hour photo session for ONLY $1. This is a unique and creative photo portrait session for babies, kids, high school grads, large and small families, expecting mothers and brides. We have lots of backgrounds and props to choose from, as well as outdoor backgrounds at our location!